Channel Connect simplifies and automates distribution to a broad set of global and regional OTAs enabling hotels to achieve over 20% production growth over other channel managers with dynamic rate and availability recommendations that increase hotels’ RevPAR and GOPPAR. Channel Connect provides you connectivity to nearly 600 OTA channels with unmatched flexibility for advanced pricing and revenue management strategies. Unmatched access to global, local, regional and niche distribution channels via certified connections. Enforce rate parity and minimize overbookings. 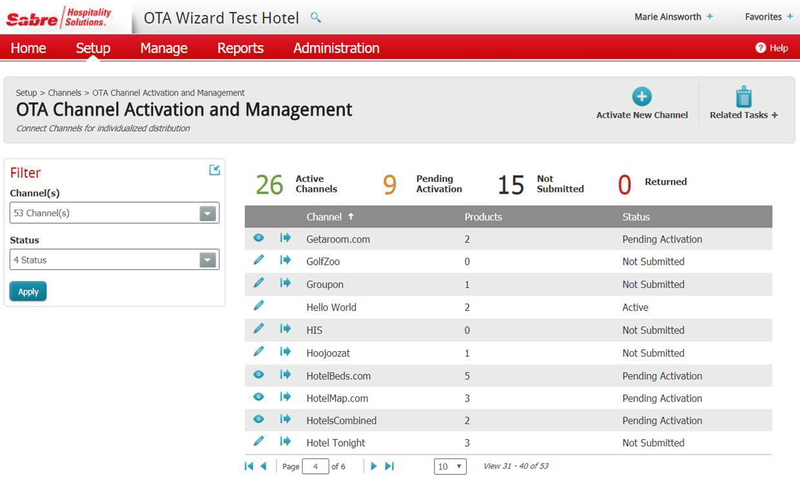 Improve productivity with a real-time ARI feed to OTAs and direct delivery of reservations to the hotel PMS. Manage distribution from a single solution without the need to connect disparate systems. Quickly update rates and restrictions across a date range with a self-serve option. Enforce advanced pricing and revenue management strategies such as Length of Stay based Pricing, Dynamic Packages, Loyalty Program, and Predictive Inventory.